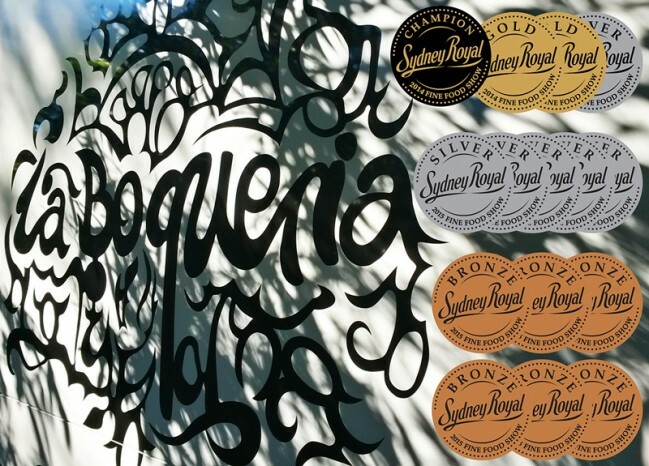 has picked up a GOLD medal in this year's RASV Australian Food Awards! 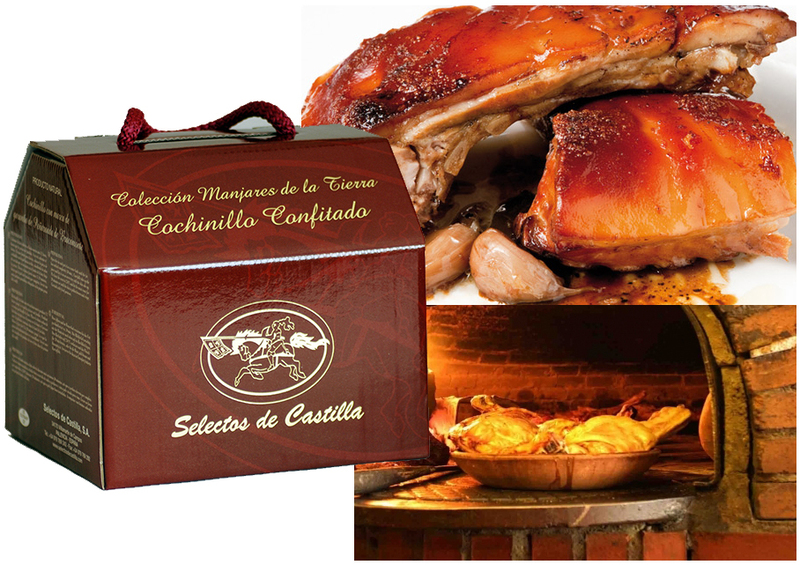 From the tradition of the oldest restaurant in the world situated in Madrid - Botín, who have been serving cochinillo (suckling pig) since 1725. 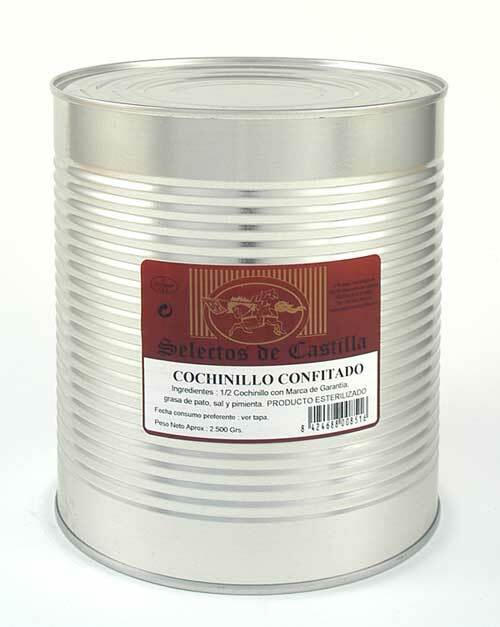 We are proud to be the first in Australia to bring you Cochinillo from Segovia. SUCKLING PIG D.O SEGOVIA -The suckling pigs are born and raised by their mothers in big stable boxes where the small suckling pigs can move freely with enough space to play with the others in the litter and develop through physical activity. The piglets’ only nutrients are in their mother’s milk. The sows give birth after 114 and 116 days with litters between 10-16 piglets. No medical prevention, only a dosage of iron, given orally when they are born. No mutilation has occurred (no castration, no tail cutting etc). The suckling pig are slaughtered between the 21st and 28th day and its average weigh is between 4,5 to 8Kg (Only the D.O Segovia). Open the tin and put it in a water bath until the fat has melted completely (30 min.). Carefully take up the piece and lay it on an oven tray with the skin side up. 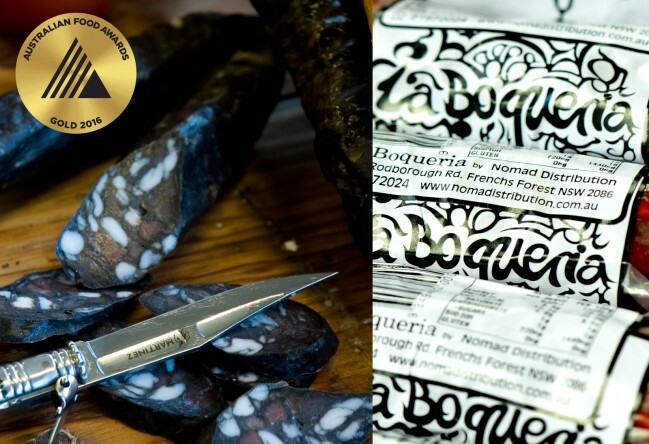 Come and visit us to taste some award winning Artisan Charcuteria by La Boqueria. Jamon Serrano from La Hoguera. Spanish Hot & Mild Chorizo Authentic Spanish spices and the best Australian pork — at La Boqueria. 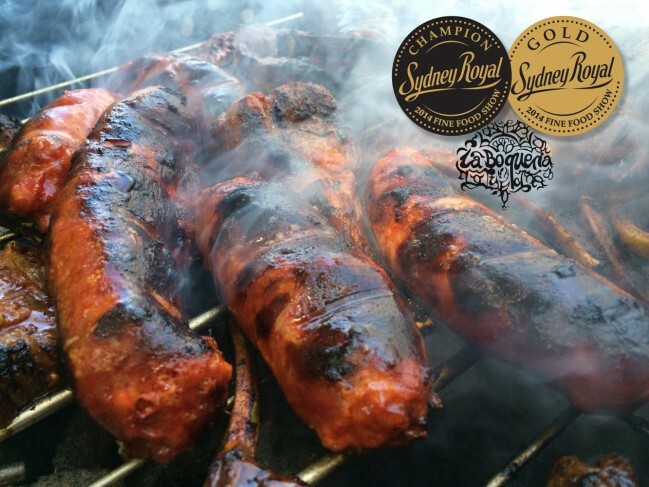 Champion and gold medal winner at the 2014 Sydney Find Food Show!